1. The New Seamless. You know when you get home after a long day and can't find the patience to cook (basically me every day)? For those living in NYC, Kitchen Surfing is offering a unique at-home dining experience that includes a personal chef, weekly schedule, and meal of your choice made with fresh ingredients. This beef tagliata and polenta dish was hands down one of the best meals I've had at home to date. Feel free to use the link here to get your first meal free! 2. Toast Two Ways. For a cozy morning outing, the Soho classic Two Hands does it best. 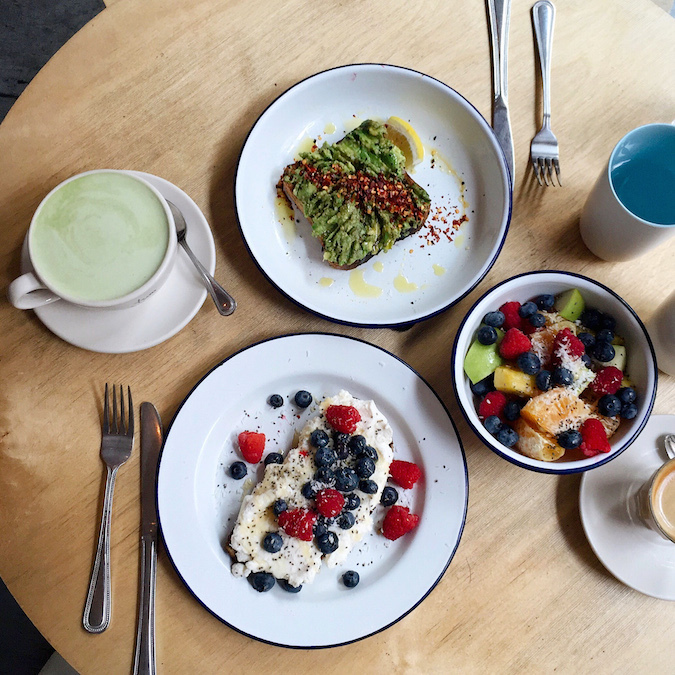 We went for a sweet start with avocado toast topped with chili flakes, ricotta toast topped with berries, and a side of fruit salad. Breakfast never looked (or tasted) better. 3. Hole-in-the-Wall Perfection. 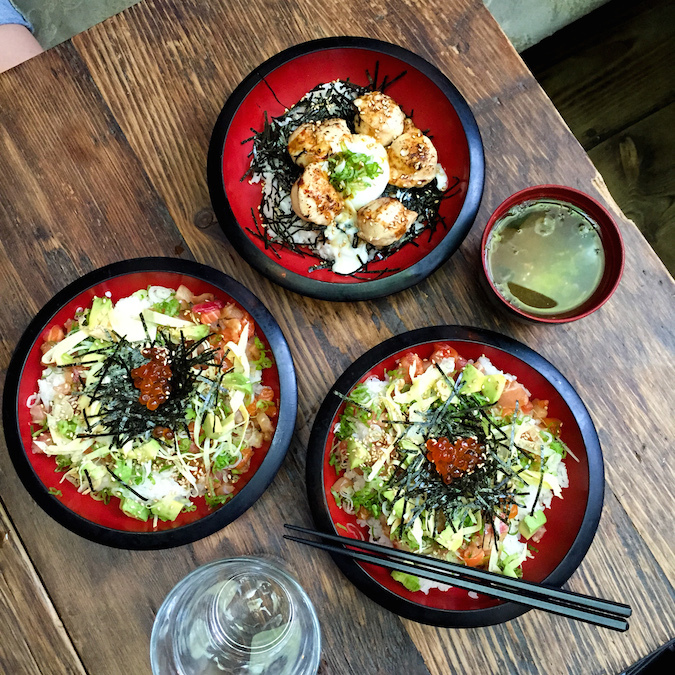 Hidden in the streets of LES is Soy, my new favorite stop for Japanese home cooking in the city. 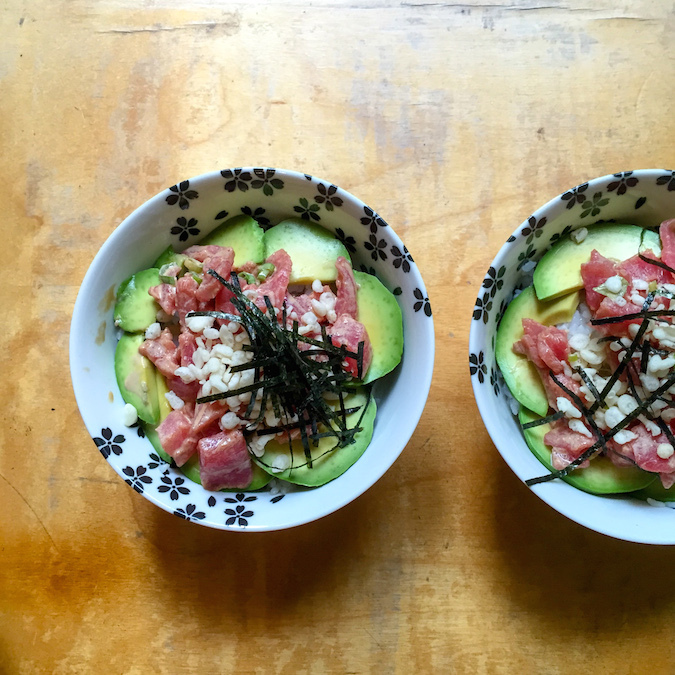 What it lacks in ambiance it makes up for in its delicious (and reasonably-priced) dishes, especially this spicy avocado tuna bowl. It is the bestseller for a reason! 4. 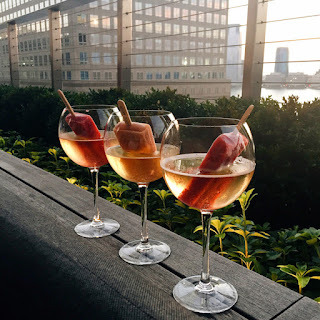 Popsicles & Prosecco. A.k.a. the Instagram star of rooftop bars. My roommates and I finished off Labor Day Weekend sipping on fruity Prosecco at the Conrad Hotel's Loopy Doopy Rooftop Bar. While the prices will likely make this place a one-time experience for us, I would definitely recommend stopping by for a relaxing girl's night out with a view. 5. An Italian Brunch. Free mimosas along with an Italian brunch? Count me in. I made a rare trip up to Harlem to visit a friend and was quickly impressed by Babbalucci's hearty dishes. 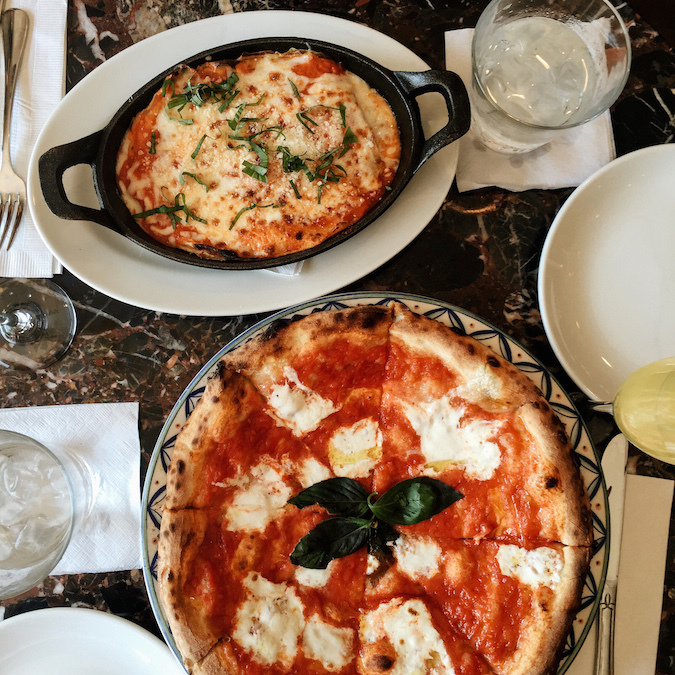 The Burrata pizza with cream-centered mozzarella, tomato, and basil, along with the stack of crepes, were enough to keep us stuffed and convince us to return for round two. 6. Fall-ing for Dessert. Spot Dessert Bar is ready for fall, and so am I. My foodie friend Carissa and I had the opportunity to taste the popular dessert shop's new autumn menu, and it quickly exceeded our expectations. 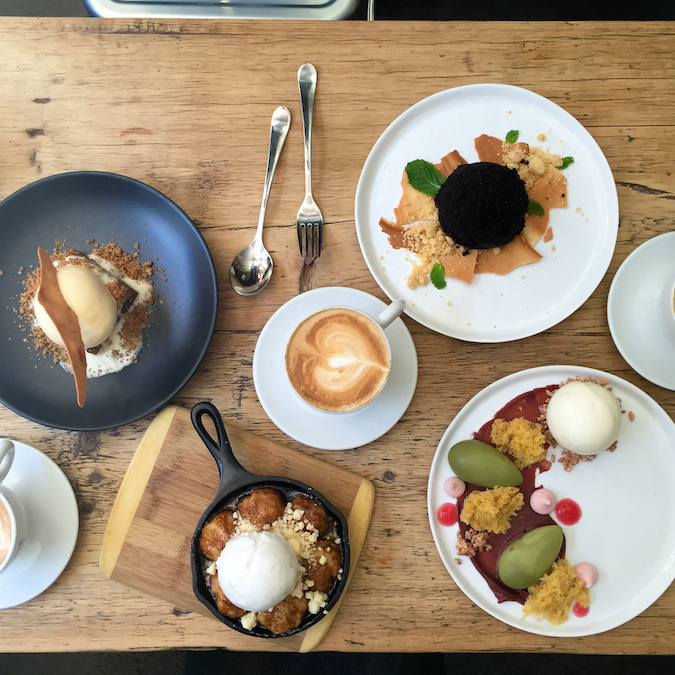 Our favorites included the Vegan Coconut Monkey Bread, Black Truffle Hazelnut Dacquoise, and Toasted Rice Ice Cream. 7. The Classic Cheat Day. 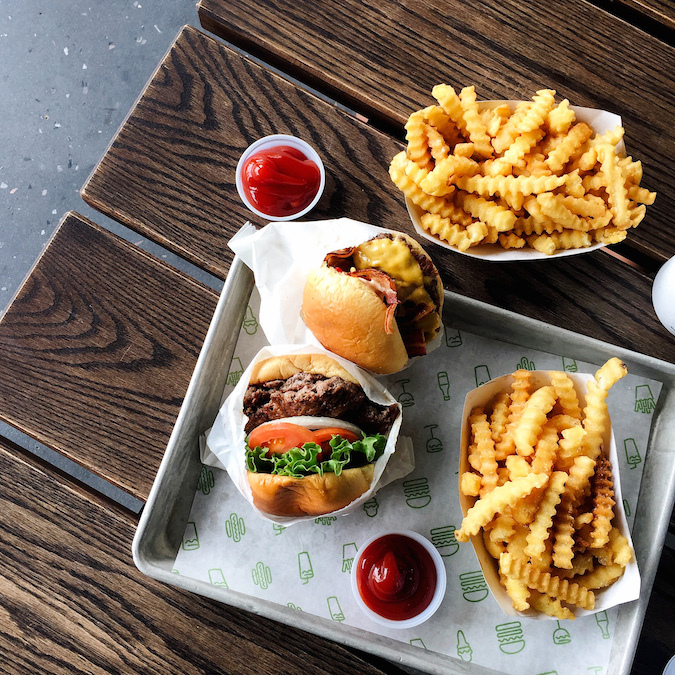 While not an unknown dining spot, a visit to the New York favorite Shake Shack is never a bad idea. If I could live off those fries without gaining a hundred pounds, believe me I would. Sometimes you just need to cheat your healthy diet for a day. 8. Japanese Inspiration. Williamsburg is home to some of my favorite New York restaurants, usually for their eclectic menu options and friendly atmospheres. House of Small Wonder has recently made it to the top of that list with its cozy European-inspired interior and Japanese-influenced dishes. My personal favorites are Sashimi Zuke Don (yes, yet another poke bowl) and Tsukune Don with Japanese meatballs and a soft egg over rice. Hope you get to make the trip over soon!! NYC is my favourite place ever. What great spots. When I return to the states I'll be trying these places. First of, yay for our matching themes, haha! All the food looks so delicious. It's past midnight now and I'm tempted to go raid my fridge right now, but I know that's not the smartest idea, so I won't do it. Omg all this food looks so good!! I need to try them out and I love all the pictures!! This seriously just made me hungry all over again..and I just ate! Great post Christina! 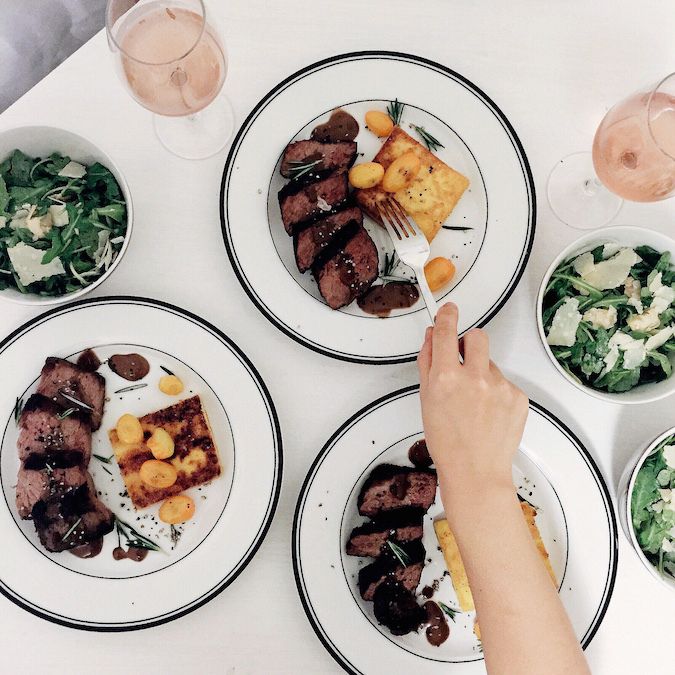 okay, now this post made me hungry by just looking at your perfectly captured photos. Totally, #FoodPorn and #Foodgasm. LOL! Hahaha, my favorite kinds of photos! Everything here looks incredibly delicious! I want to try all of it. Great photos! Great photos, you and me both love food! Yummy on top of yummy, lovely. Aww, haha you're so sweet! Come soon! The food looks delicious, I would have a bite of everything! This place was very comfortable. Restrooms at the best sports bar nyc were decent. Coming here with my friends was an amazing experience. This is my favorite place now, because of its excellent food, perfect lighting, vibrant atmosphere and great ventilation. AHH I also posted a food guide to NYC from my trip there this summer and two hands was on the list as well! I love finding cute places to have brunch and such, and will definitely try out your list when I'm back there next summer.